Following the merger of Eimco Water Technologies, Enviroquip and Christ Water Technology, September 2010 sees the emergence of a new global force in the water sector, dedicated to bringing the latest thinking, proven technologies and the most advanced application knowledge to the municipal and industrial clean water, process water and wastewater markets around the globe. Ovivo’s range of packaged wastewater units enable the establishment of amenities for a wide variety of residential and commercial uses where operation is remote from public water networks and cannot be reliant on attachment to them. Ovivo also supplies pre-engineered units that provide complete wastewater treatment services to larger facilities such as truck stops, malls, hotels, holiday villages and other facilities whose commercial proposition depends on their remoteness. 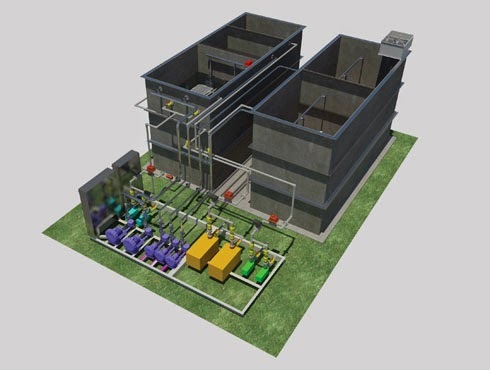 Deploying Ovivo’s packaged wastewater treatment plant ensures that the best available technology is placed at the disposal of your site. Compact Ovivo systems offer reduced footprints and also manage water to maximize the eco-friendliness of wastewater treatment processes. The ease with which they may be operated and maintained and the robust, reliable treatment they provide are backed by comprehensive system and process warranties.